First prizewinners of the International Commerzbank Chamber Music Award 2008 and recipients of the NORDMETALL Chamber Music Award at the Mecklenburg Vorpommern Festival 2009, the Sitkovetsky Trio was formed in 2007 and has since emerged as one of the outstanding Trios of today. Their dynamic, high-energy performances as well as their thoughtful and committed approach have brought the ensemble numerous awards and critical acclaim. As a Trio they have won the Philharmonia-Martin Chamber Music Award, the Kirckman Society Award, the Tillett Trust Award and have been supported by the Hattori Foundation, the Fidelio Trust, the Musicians Benevolent Fund and the Swiss Global Artistic Foundation. 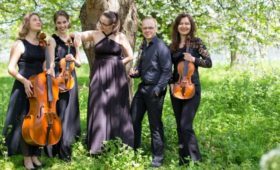 They held a Junior Fellowship at the Royal Academy of Music in 2007-2008 and 2008-2010, and were recipients of the Golubovich Fellowship and the Richard Cairnes Junior Fellowship for Chamber Music at Trinity Laban College of Music, as well as a Fellowship at the Royal Northern College of Music. The Sitkovetsky Trio has performed in the leading concert halls across Europe, including the Amsterdam Concertgebouw, Frankfurt Alte Oper, Palais des Beaux Arts in Brussels, Hamburg Laeiszhalle, Sociedad Filarmónica in Bilbao, l’Auditori Barcelona, St George’s Bristol, the Purcell Rooms and the Wigmore Hall. Recent highlights have included performances of the Beethoven Triple Concerto with the Berlin Konzerthaus Orchester and Gabriel Feltz at the Mecklenburg Vorpommern Festival, a piece which they also took on tour with the Orchestra of the Swan and the Münchner Symphoniker. Further afield, the Trio undertook its debut tour of the USA in 2015, which included concerts in San Francisco and Washington DC. They also made their New York debut with the Chamber Music Society of Lincoln Center in the same year. 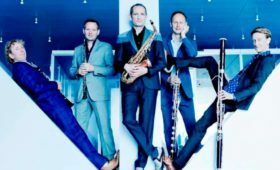 They have toured Australia extensively in partnership with Musica Viva and their debut tour of China in 2013 included performances in Beijing, Shanghai and Guangzhou. 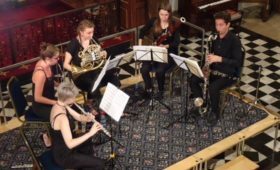 Other recent highlights have included performances at the Menuhin Festival in Gstaad and at the Frederiksvaerk and Bergen International Festivals. Highlights of the 2015/16 season include performances at the Musée du Louvre in Paris, the Sage Gateshead and the Grand Théâtre d’Angers as well as recitals in London, Trento, Lindau, Deventer, York and at the Rheingau Festival. 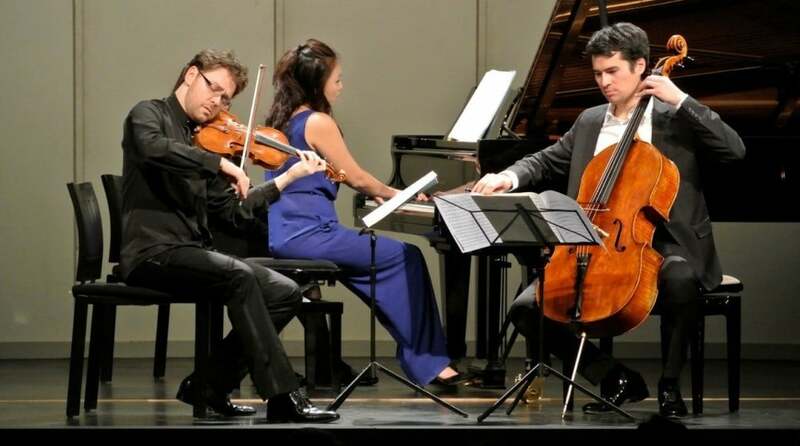 The Trio will also return to North America for their second appearance with the Vancouver Recital Society. The Sitkovetsky Trio’s first recording for BIS Records of works by Smetana, Suk and Dvořák was released in 2014, to critical acclaim; “their tempi are all excellently judged, they play like angels and their ensemble work is spot-on. This is a trio which is going to scale the heights.” Limelight Magazine 17 April 2014. This was followed by a release on the Wigmore Live label of works by Brahms and Schubert, with their second disc for BIS of Mendelssohn Trios being released in 2015 to a similarly warm reception. PLEASE NOTE: Parking at The German School and the nearby Polo Club is limited, and pathways can be dark. You may want to bring a torch. Public transportation will be restored when Petersham Road works are completed on 4 September.